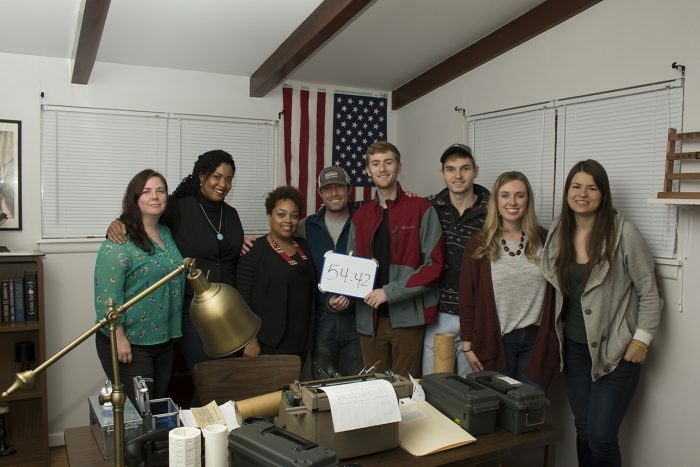 Student attorneys from The Business Innovations Legal Clinic at UA Little Rock’s William H. Bowen School of Law recently had the opportunity to be customers at one of the local small businesses the Clinic counseled a few months earlier – The Underground Escape, an escape room focused on social justice issues. The Business Innovations Clinic works with small businesses and nonprofits to enhance economic development in Arkansas. Clinic students assist clients with issues ranging from legal formation, to intellectual property, and even drafting contracts. Last spring, the Business Innovations Clinic worked with Remix Ideas, LLC to teach and co-host an intellectual property law workshop called the ABC’s of Intellectual Property on the Bowen campus. 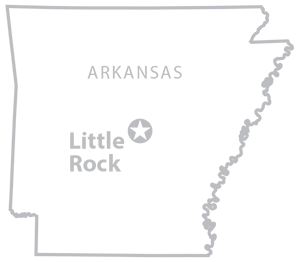 Remix Ideas, a Little Rock social enterprise, focuses on accelerating black-owned business growth through mentoring, training, and consulting. Remix has hosted a number of community-based events, such as Africa Day Fest and multiple entrepreneur pitch contests. Through this partnership, the law school welcomed more than 40 African-American entrepreneurs into its doors for its workshop in April 2018. Two of the workshop attendees were Ericka Bennedicto and Juanenna Williams, co-creators and co-owners of the Underground Escape, Arkansas’ first social justice-themed escape room, named in inspiration of Harriet Tubman’s famed Underground Railroad. At the time of the workshop, the room was still in its infancy with only one room at a temporary location. Bennedicto and Williams created Underground Escape with the belief that fun activities, such as Underground Escape, have the potential to spur personal connection and conversations that last long after the experience itself. Armed with valuable information on how to protect their intellectual property and not infringe on the work of some of the civil rights leaders they hope to pay respect to in their business theme, Underground Escape opened a permanent location near UA Little Rock’s main campus on South University Avenue, with a second social justice-themed room. The first room, entitled “Give Us the Ballot,” focuses on the civil rights issues of 1957 and the Voting Rights Act. The second room, “Saving Black Wall Street,” focuses on the history of an African-American commercial center in Oklahoma that was devastated by tragedy in 1921. As a team-building activity at the end of the semester, Business Innovations Clinic students had the opportunity to go through “Give Us The Ballot.” In this room, participants traveled back in time to 1957 to cast their vote. However, to do so, the group had to overcome Jim Crow barriers placed in their way. “Give Us the Ballot” included a number of interactive activities, such as puzzles, quizzes, and actual 1957 literacy test questions, before participants could cast a vote and escape the room. The students escaped from the room and were able to cast their vote in 54 minutes and 42 seconds –without much time to spare. The experience included a debriefing by Bennedicto and Williams, who revealed fascinating insights into the students’ challenges and strengths. Business Innovations Clinic students found the intersection between entertainment and education to be refreshing. “One thing that really stood out to me was how they cleverly hid snippets of information around the room, hidden in each item we were tasked with unlocking,” said Abby Brenneman, a third year student. Another student, Jacob Bryan, echoed these sentiments. “I found the references to the civil rights era to be a creative ice breaker for conversations concerning important social issues that are often difficult to discuss,” Bryan said. Escaping from the room was no easy feat. Megan Douglas reflected that the escape room was harder than anticipated, but she enjoyed learning along the way by solving puzzles because the room did a great job of combining past history with present events that are often ignored and need discussion. Professor Kim Vu-Dinh, director of the Business Innovation Clinic, felt the room was a great supplementary teaching tool.